« Another beautiful baby sweater! Yeah! 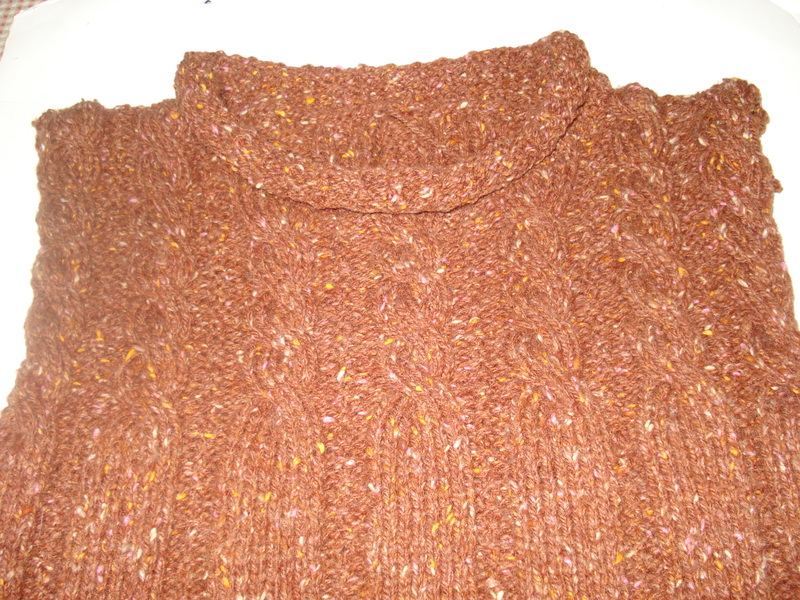 I’ve completed several of my UFO’s (can hardly wait to tell you about one of them in my next post)and now I’ve treated myself to a new knit….a sweater that I have been wanting to knit for a long time. The yarn I chose for this new project is Queensland Collection Kathmandu – 85% Merino Wool, 10% Silk, 5% Cashmere. 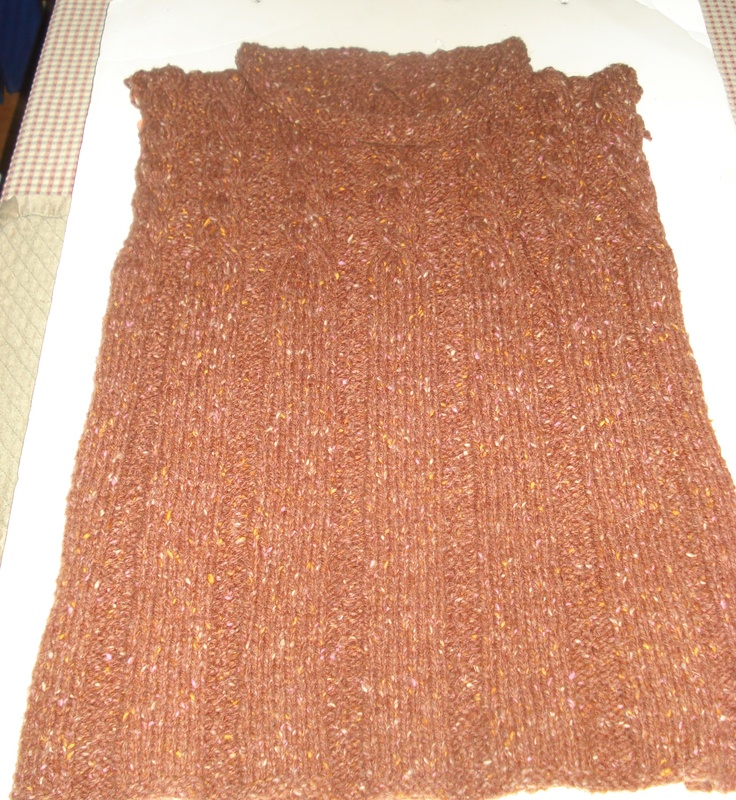 The body is done and now it’s time to knit the sleeves. Whenever I knit I always customize the fit….and then sometimes as I knit through the garment I forget about the rest of the math and startle myself along the way. In this case it’s the sleeves. Stitches (sts) to the inch (wanted to test to be sure that the top of the sleeve would indeed fit the armhole) = 4 sts to the inch. The pattern called for increasing from a cast on of 41 sts to 83 sts. The math = 83 sts divided by 4 sts to the inch = 20.75…..this won’t do. I want 19 1/2 stitches across the top so let’s do the math again a different way. 19 1/2 stitches times 4 stitches to the inch = 78 sts. Now you might say….it’s only 5 sts! But it means that you have an inch+ to squeeze into that armhole. Do the math! I need to increase 37 sts from cast on of 41 sts to cast off of 78 sts…..to make the increases symmetrical I will increase 38 sts to a total of 79 sts. How will I know how often to do my increase? I need more information to answer that question. Rows to the inch = 6. How many rows does it take to knit 22 inches? (22 x 6 = 132 rows). But I want to start the increases 1 inch above the cast on and stop 2 inches from the top of the sleeve. You might wonder how I chose 2 inches…..I have slender arms that taper from the wrist to the top of my arm….so I want a gradual increase with no “blousing” anywhere along the sleeve. More math! 22 – 3 =19…..this means that I want to increase 38 sts over 19 inches ( 19 x 6 = 114 rows). I will increase twice on a row – at the beginning and at the end – so I will need to increase on 19 rows (19 x 2 = 38). So….how many rows will I knit between increase rows? The last of the math. 114 rows divided by 19 rows of increases = increase on every 6th row. I know….it’s a bit mind boggling that this number of 6 is also the row gauge…a fluke…don’t get caught up in it. A couple more thoughts about customizing this pattern. It was written so that the front and back were knit as two flat pieces and then seamed together. I avoid seams where I can so I knit this sweater in the round to the armholes and then converted to flat knitting for the tops of the front and the back. I then joined the shoulders with a 3-needle bind-off. I don’t like high necklines….my knitting groups reminded me of that when I was discussing the neckline…so I changed the neckline. And I love the result. I toyed with the idea of knitting the sleeves from top down but knew that I didn’t want the weight of the whole sweater on my hands as I knit the sleeve. But what I will do is pick up stitches around the armhole (that number should be 78) and knit those together with a 3-needle bind-off with the top of the sleeve…no hand-sewn seams! Hurray! My sweater will be done and ready to wear whenever it “freezes” over. Now onto baby booties for a new baby arriving any day in Bill’s family and an afghan for an upcoming wedding also in Bill’s family.